Elizabeth 'Bets' McNie is an Assistant Professor of Marine Transportation currently teaching meteorology. She was most recently a Research Scientist with the Cooperative Institute for Research in Environmental Sciences and the Western Water Assessment at the University of Colorado at Boulder, and a Research Fellow with the Center for Science and Technology Policy Research. As an expert in science policy, Bets researched how to improve the usability of scientific information for decision makers and, and in turn, how to shape research agendas to be more useful, what is generally described as research on "science for policy and policy for science". Her research focused on the development, implementation and evaluation of climate services in the United States, but has also included related research with sustainable agroforestry systems in Indonesia. Bets also worked an Assistant Professor at Purdue University with joint appointments in Political Science and Earth, Atmospheric & Planetary Sciences and was a Faculty Affiliate with the Graduate Program in Ecological Sciences and Engineering. In 2011 she was awarded the College of Science Award for Faculty Engagement. Bets has been published in Environmental Science & Policy, The Proceedings of the National Academy of Sciences, Ecology and Society, and Weather, Climate and Society. 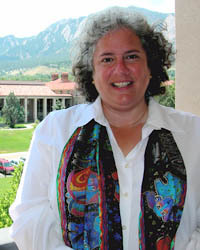 Bets received her PhD in Environmental Studies with a Graduate Certificate in Science Policy from the University of Colorado, Boulder; was a Pre-Doctoral Fellow at the Kennedy School of government, Harvard University; received a Master of Arts degree in Psychology – Organization Development from Sonoma State University and her Bachelor of Science from the California Maritime Academy (Go Keelhaulers!). She has also worked as a commercial fisherman in Alaska and as a US Merchant Marine Officer on containerships, oil tankers, offshore oil-drilling rigs, and as a training officer and lecturer at the California Maritime Academy.